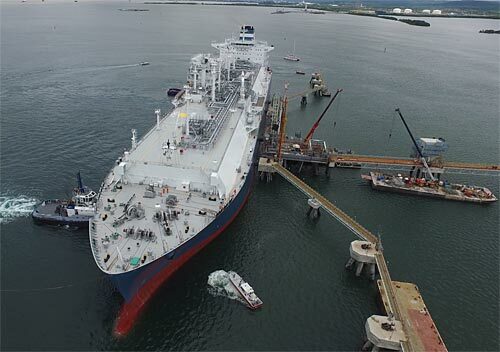 FSRU is a floating processing and terminal facility used when it is not profitable, or for other reasons not practical, to develop onshore terminals. By using an on-board regasification unit, the liquid gas carried by the LNG tanker is converted to gas prior to being brought ashore. This process requires the gas to be heated, and for this heating large quantities of seawater have to be pumped from the ocean. Framo is to install four pumps in each of the vessels which are due to be delivered during the period 2019 to 2021. “Global demand for energy is on the rise, but in many areas the necessary infrastructure is not in place. FSRU is a highly versatile alternative as a vessel can be moored at any quay and operate as a terminal. Furthermore, the investment costs are significantly lower than for onshore developments.” says Thorbjørn Vågenes, Director, Oil & Gas Pumping Systems at Framo AS. The delivery to Höegh LNG is based on highly recognised Framo technology, which has been used in connection with offshore operations for a number of years. A similar solution was delivered to Shell’s floating LNG facility, Prelude FLNG. “We are using recognised and well-proven Framo technology in a new market where there has been a significant rise in demand the past few years.” says Vågenes.